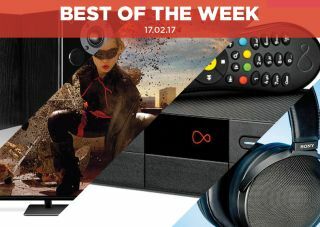 Best of the Week: Sonos price rise, Panasonic 4K OLED, Virgin V6 TV box and more | What Hi-Fi? This week Sonos announced a price rise for all its products, Panasonic unveiled a new 4K OLED TV and both LG and Sony appear to have dropped curved TVs from their respective ranges. On the reviews front, we had Virgin's answer to Sky Q in the V6, Roth's VA4 desktop speaker and Sony's premium-priced MDR-Z1R closed-back headphone. The dollar's performance against the pound is causing more headaches for hi-fi manufacturers, with Sonos the latest to announce a price rise. From 23rd February prices will go up across the company's range of speakers, with some going up by as much as £100. Panasonic's second 4K OLED is on its way and it's set to arrive in 55in and 65in versions. The EZ952 supports HDR10, Hybrid Log Gamma technology and will sport a new version of Freeview Play. The TV goes on sale in June and while UK pricing hasn't been confirmed, in Europe it's likely to sell for €2500. Both LG and Sony have revealed their 2017 TV line-ups, and there's not a single curved screen in sight. LG explained the reason for dropping out was a lack of consumer interest in the format, while Sony also hinted at the same factors in its decision not to persevere with curved screens. "Hardware-wise it’s mostly good, and if it doesn’t quite beat Sky Q it’s a fairly close-run thing"
The rise of streaming and the release of Sky Q has led to Virgin's TiVo feeling ancient. Step forward Virgin's response in the V6 - and the result is a decent one. From a hardware perspective it's not far off from Sky Q. Multi-room is excellent and it's future-proofed for 4K, HDR and Atmos. What holds it back is a lack of content, especially in 4K with only Netflix and YouTube available. Until it solves that issue, Sky Q remains ahead. "If you’re looking for an affordable pair of speakers… the VA4s are right up your street"
Whether you want to play Bluetooth or vinyl, these Roths will accommodate you. From treble to bass, these desktop speakers are nicely balanced. They're good with small-scale dynamics but less so with bigger dynamics. If you're looking for an affordable speaker with a well-judged performance, these are worth a shot. "Sony hasn’t been shy about charging a premium price for these headphones"
Sony is celebrating its 70th birthday by releasing a range of Signature products, including the MDR-Z1R headphones. They're not cheap, but the premium price is reflected in the performance. It boasts excellent detail resolution, powerful bass and scale. Excellent sources/electronics are needed for them to shine but nonetheless, these are the finest closed-back headphones we've heard.